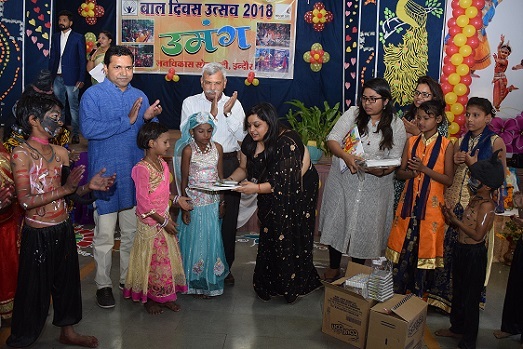 IIM Indore’s Social Sensitivity Cell Pragati celebrated the Children’s Day on November 14, 2018 with the under privileged children at Janvikas, Palda. 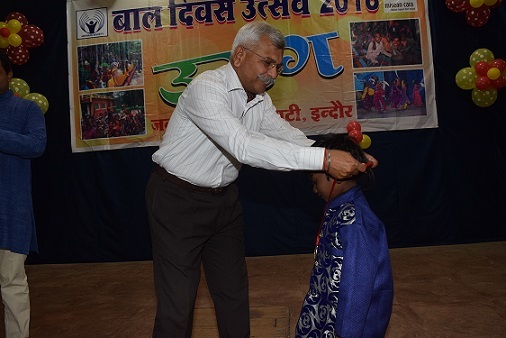 Col. Gururaj Gopinath Pamidi (Retd), Chief Administrative Officer, IIM Indore and Professor Surbhi Dayal, Faculty, IIM Indore distributed gifts to the children. Col. Pamidi encouraged the little ones to focus on education and learn as much as possible from the surroundings as well. He noted the importance of being literate and also wished them a happy Children’s Day. The event was marked by a colourful cultural programme done by over 300 children from 12 slum areas. Professor Sudha Jain of Indore Institute of Social Work was also part of the event. IIM Indore’s Pragati Club looks forward to encouraging and supporting the under privileged children in future as well.